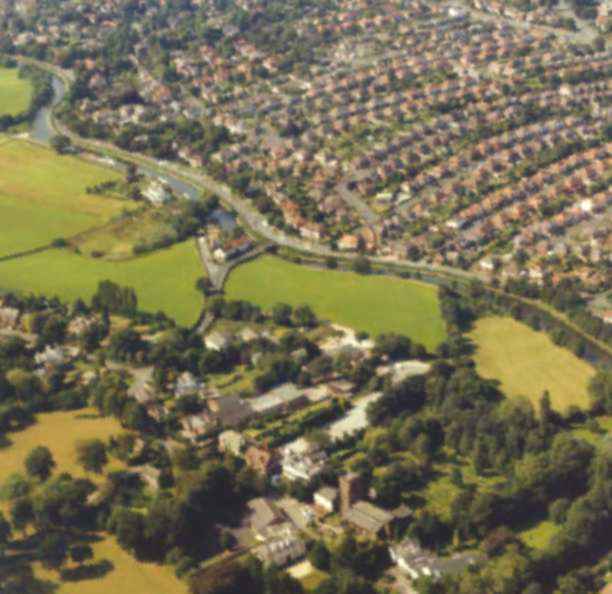 There is archaeological evidence that the area around Grappenhall has been settled since 1900 BC. The earliest documentary reference to the village is recorded in the Domesday Book of 1086 where it is recorded as Gropenhole, which derives from the Old English meaning ‘a piece of flat land by the side of a river’. Thelwall is first mentioned in the Anglo-Saxon Chronicle in the early 890s. Most reliable sources claim the name is derived from the Old English for ‘deep pool with a plank’ or ‘pool with a plank bridge’. In AD 923 Edward the Elder ordered a burh to be built as a defence against the Danes. It was a mistranslation of this word burh, which means military fort, which led to Thelwall being described as a “city”, hence the legend which appears on the gable end of the 17th Century Pickering Arms. Separate administrative parishes of Grappenhall and Thelwall were established in 1894, and although merged in 1936, the parish was only designated Grappenhall & Thelwall in 1974. This part of Cheshire flourished as an agricultural area with associated rural industries such as leather processing. Before the construction of the Manchester Ship Canal, the River Mersey formed the natural boundary with Lancashire. Early maps of the parish reveal a scattered settlement pattern, which comprised a number of large country houses, as well as farms and cottages. Warrington continued to develop as a commercial and industrial centre and the villages of Grappenhall and Thelwall came increasingly under its influence. Grappenhall today remains rural in character with farms, cottages and green landscape. 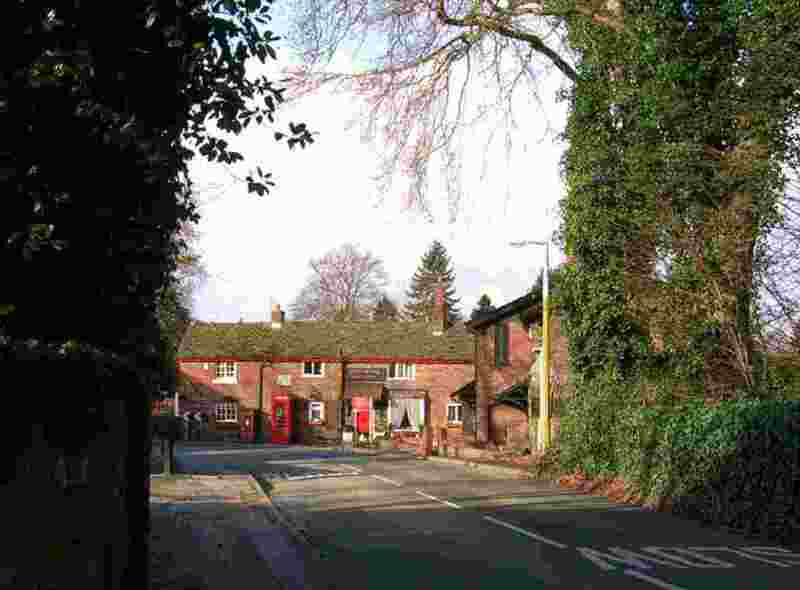 The oldest part of Grappenhall is the picturesque village centre on Church Lane. This linear settlement of intimate scale creates a strong and traditional village character comprising a mixture of mainly 17th to 19th Century buildings, which display a wide range of architectural styles and supporting features. Church Lane is partly cobbled and is flanked on its south side by substantial sandstone boundary walls. Amongst the fine buildings found here are Georgian villas and neat rows of 18th Century and Edwardian cottages that sit comfortably alongside newer houses built in the 1930s. For much of its length the narrow meandering Church Lane provides both the traffic and pedestrian routes through the old village. For a length of about 200 metres, between the village school and the canal bridge approach, both the carriageway and one footway are surfaced with cobblestones. It is this length of Church Lane that defines Grappenhall in the eyes of many visitors and consequently it features high on the list of elements that project the character of the historic village centre. The focal point of the village is St. Wilfrid’s Church. It is constructed in local sandstone and parts of it date back to the 12th century. Visible on the tower is a relief sculpture of a “Cheshire Cat”. Replica village stocks are placed by the entrance to the churchyard. Other notable buildings include a partially renovated Victorian gothic style rectory and a pair of 18th century cottages featuring a unique cast iron veranda. Grappenhall Hall School retains much of the original building but this is partly obscured by recent extensions. Eastwards, across the canal bridge leading to Bellhouse Lane, Bridge House provides a reminder of the commercial heyday of the Bridgewater Canal and a terrace of Edwardian cottages is complemented by the Brackenwood and Hazelwood Mews developments that were constructed in the 1990’s using mellow recycled bricks on a brownfield site. Further along, the Grappenhall Youth and Community Centre occupies the buildings of the former Bellhouse Farm, home also of the Parish Council. 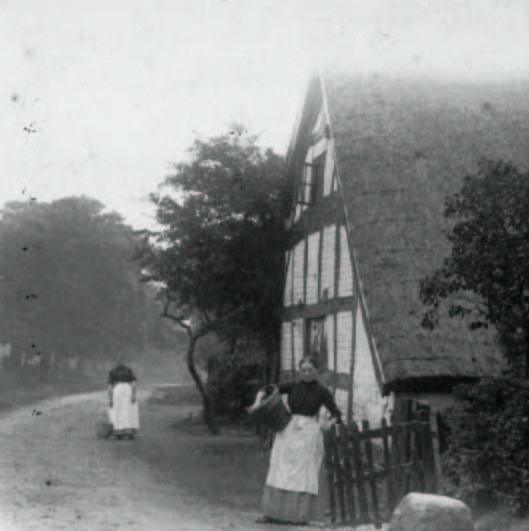 To the west, along Broad Lane, are buildings reflecting Grappenhall’s agricultural past, such as the old smithy and Claybank Farm, interspersed with individual modern homes in a mature setting. The major open spaces in and adjacent to this area are the cricket club and what were the grounds to the two largest houses, Grappenhall Hall and the Old Rectory. The grounds to the Hall are now the playing fields for the school. The cricket club and its grounds add an important visual and a social dimension to the village. Together with the sweeping views beyond, this adds a further facet to the character of Grappenhall. The agricultural land lying between the village and the Bridgewater Canal is of major importance. It preserves the rural setting of the old village when approaching from Chester Road across Stanney Lunt Bridge and it provides an effective buffer between the historic village and the housing developments north of the canal. The historic village centre is bounded to the north by the Ship canal, on the south and west by 20th Century housing developments and to the east and further south by large tracts of agricultural land. Much of contemporary village life centres around the Victorian All Saints Church, which was built on the site of a much earlier church, and the Parish Hall, a modern single storey building on land adjoining the grounds of Chaigeley School. At the centre of the old village is the Pickering Arms, with many of the key features of the Conservation Area grouped around it. Ferry Lane to the north takes it name from the ancient river ferry crossing, which still provides a service across the Ship Canal, and features a number of buildings of character including the 17th Century Old Hall. Several small, dilapidated wooden and brick outbuildings near the Thelwall Ferry add interest to the canalside area, but the ferryman’s hut is of special social and historic interest. Directly opposite the Pickering Arms is the Post Office, next to a row of traditional 19th Century cottages constructed in mellow red brickwork. Other important buildings nearby include the Old School House, the Little Manor and Chaigeley School, all with distinctive architectural styles. Chaigeley School was originally Greenfield House, the home of the Stanton family, who were major benefactors of Thelwall. Elizabeth Park to the south is the site of Thelwall Hall, which was demolished in the 1960s. The War Memorial at the junction of Bell Lane and Lymm Road was erected in 1923 and commemorates a thousand years of settlement in Thelwall as well as the fallen of two World Wars. Opposite this is Bell Lane Cottage, locally known as Rachel’s Cottage. Other buildings that reflect the rural origins of the village include Old Hall Farm and Home Farm. Following the opening of the railway line Victorian entrepreneurs built extensive properties along Halfacre Lane. The diversity of style and period of these buildings contribute to the character of the village. A variety of construction materials and styles have been used within the village: rustic brickwork; sandstone; slate and rosemary type tiles; York stone flags and cobbled areas. Housing styles are mixed but features include buttressed walls, hipped roofs, interesting brickwork features and exposed beams. Extensions and infill developments generally blend well with their surroundings. There are two public open spaces within the Conservation Area, each of which has its own distinctive character. One is the small village green opposite the Old School House on Thelwall New Road. 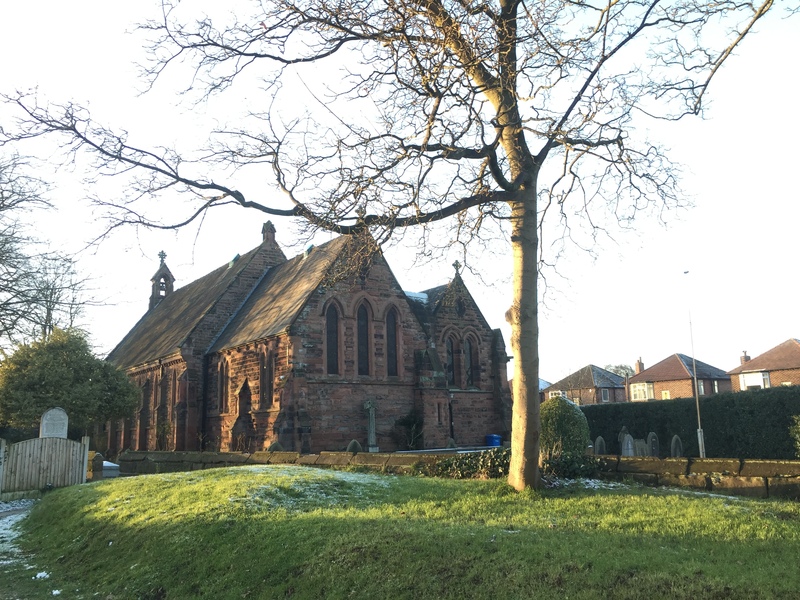 The second is Elizabeth Park, which is of vital importance to the village with its sweeping parkland views, mature trees, walks and sports pitches. The grounds to Chaigeley School, whilst not open to the public, lend an additional feeling of space to the village centre and also accommodate the War Memorial. Thelwall Heys is a wedge-shaped area of agricultural land totalling 28 hectares. It is a unique piece of unspoilt farmland in the centre of the community and epitomises the agricultural heritage of the area. It is traversed by the Trans-Pennine Trail and is bounded by Stockport Road, Knutsford Road and the Bridgewater Canal. Thelwall Heys is an important and accessible high-quality rural asset for south-east Warrington. Its open aspect and its obvious affinity with the surrounding countryside bring a range of benefits to the built-up areas that have extended the villages of Grappenhall and Thelwall in recent times. In addition to resisting further extension of the urban sprawl, it provides a haven for local wildlife. Additionally, it performs an important role in helping to preserve and distinguish the separate identities of these two communities. 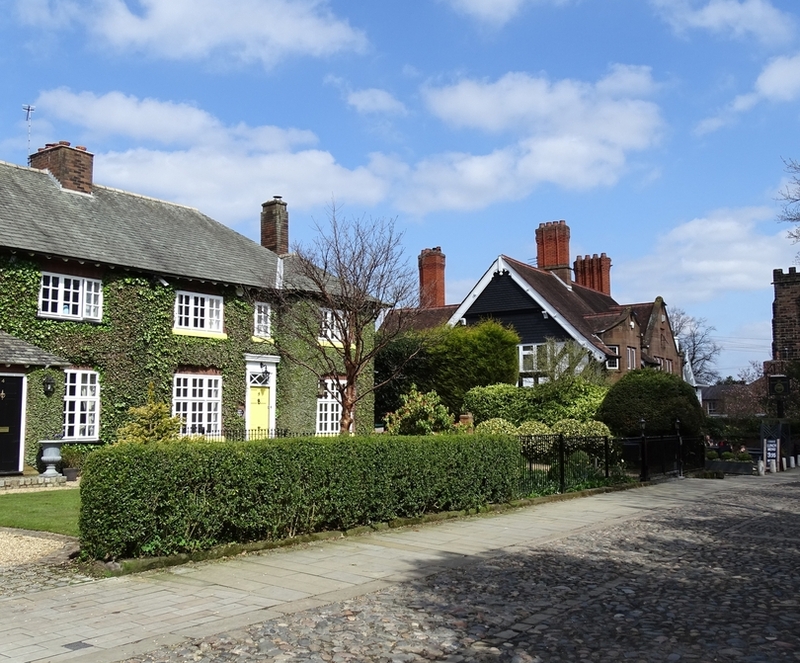 Weaste Lane is a distinct settlement with its own character, located on the south side of Thelwall village. It is identified in the Unitary Development Plan as a Green Belt Village, which reflects its setting to the south of the Bridgewater Canal and on the edge of the open countryside. It comprises a variety of styles and periods ranging from the early 18th Century to the late 20th Century. The western end of the Lane is the most built-up, with modern “executive style” houses, 1970s semis, and substantial Victorian buildings, including a fine terrace, all within the first few hundred yards. Opposite this stands the gatehouse to the old Cuerdon Hall, which was demolished in the mid 20th Century. Weaste Lane Farm, which stands at the junction with Halfacre Lane, spans several periods of development, with the earliest buildings dating from the 19th Century. Nearby is Thelwall Grange, now a nursing home. The most recent addition to this area is the modern residential complex at Stoneleigh Gardens, an example of successful brownfield development. 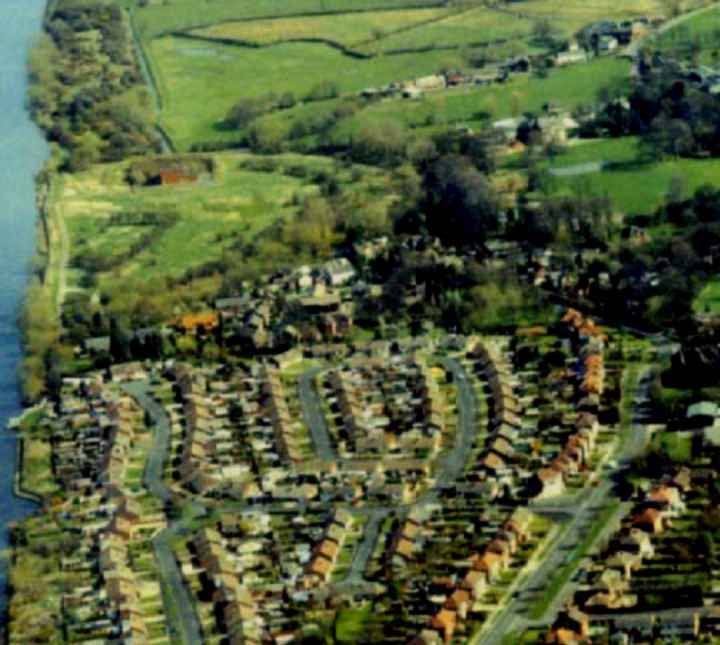 The villages are surrounded by open countryside to the east and south and these rural parts of Grappenhall and Thelwall. Much of this good-quality farmland constitutes a working landscape. It both provides a livelihood for the local farming community and is a living reminder of much that enabled the villages to thrive in the past. It represents 80% of the total area of the parish. These rural areas contribute in a number of ways, both directly and indirectly, to the quality of life enjoyed in the more urbanised parts of the parish. The Bridgewater Canal, which is owned and maintained by the Manchester Ship Canal Company, winds its way for a distance of 2.5 miles (4 km) through the parish. It was built in the 18th Century, for transporting coal by barge from Worsley to Salford and Liverpool, and features a number of mellow brick arch bridges. 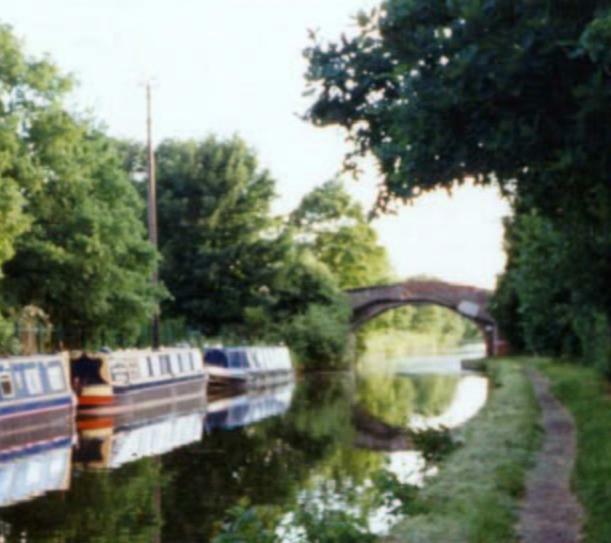 The Bridgewater Canal corridor supports a range of recreational pursuits, including angling and leisure boating, whilst the towpath connects with many other footpaths throughout the parish. These in turn give access to local woodlands, open countryside and long-distance routes such as the Trans-Pennine Trail. The Manchester Ship Canal marks the northern boundary of the parish. Its sheer scale and the level of commercial use limit its direct recreational potential, but it is undoubtedly an important wildlife corridor and landscape feature. The Ship Canal offers a recreational route via a permissive footpath from Thelwall eastwards to Lymm and beyond. The opening of the Trans-Pennine Trail in 1993 has created new recreational opportunities for walkers and cyclists. It functions both as a local amenity and as a long distance leisure route. Other important footpaths in the parish include the link from Pickerings Bridge to Weaste Lane and the route past Grappenhall Cricket Club, through Parrs Wood to Lumb Brook Road. The extensive matrix of footpaths throughout the parish provides valuable access to the industrial heritage and varied ecology of the area. The Bridgewater Canal and the Trans-Pennine Trail have created linear recreational arteries and wildlife corridors linking the two villages. The Parish has a fine mix of wildlife habitats encouraging a wide range of bird species, a number of which are nationally endangered. The mix is reflected in its wild plant and attendant insect, small amphibian and mammal life and is attractive to a number of larger species with fox, bats and hare all established. There is a good selection of mature native British trees as well the ancient hedge lines which form part of the historic landscape of the two villages. Streams, ponds, wet meadows and the Bridgewater and Ship Canals are habitats for wild fowl, small amphibians and invertebrates, two of which are nationally rare. 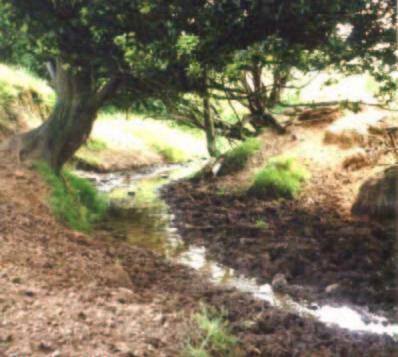 Some habitats on which the wildlife depends have existed for centuries and without them the wildlife of the Parish would be irrevocably poorer. Important among these is Thelwall Heys, which is being evaluated for potential as a Site of Importance for Nature Conservation. Much of the countryside to the east and south of the parish is open farmland that slopes gently down towards the residential areas. Traditional hedgerows with oaks and other trees still define many field boundaries, while numerous ponds, spinneys and woods provide vital habitats for a wide variety of wildlife. Mature trees are found in many parts of Grappenhall and throughout much of Thelwall, but three key areas of woodland deserve to be highlighted. These are the Water Woods at Thelwall, which are apparently the last remnants of the original woodlands in that area; Grappenhall’s recently planted Millennium Wood; and the linear plantation of Parrs Wood, a narrow belt of tree planting on rising ground and is visible from many parts of Grappenhall, effectively screening the new housing development at Grappenhall Heys. Quite a number of the remaining 18th and 19th Century farm buildings are still intact, although in many cases agricultural uses have been replaced by residential or commercial occupancy and also community facilities. These buildings continue to make a valuable contribution to the rural and architectural heritage of the area.